No. 11 Penn State (2-0) is back in Beaver Stadium at noon on Saturday for a MACtchup with the Kent State Golden Flashes. The Nittany Lions have momentum after a commanding 51-6 away victory over Pitt in week two, so our staff is confident that James Franklin’s squad will keep the good times rolling to finish out the non-conference slate. Penn State’s final non-conference game should offer an opportunity to get an extended look at the team’s host of young contributors like PJ Mustipher, Pat Freiermuth, and Micah Parsons. I anticipate the Nittany Lions starting fast against Kent State after struggling offensively in the first halves of their first two games. With one last contest to go before Big Ten play opens up next week, expect Penn State to win comfortably in this one. Appalachian State gave the Nittany Lions a scare in week one, but James Franklin’s young squad responded well last week by clobbering Pitt. The second half should provide Franklin an opportunity to get a look at a few of his promising young freshmen. Expect Penn State to jump out to an early lead and not look back in its final tune-up before Big Ten play. I predict Miles Sanders’ first 200-yard performance of the season and plenty of garbage-time work for Sean Clifford to build on his Heisman campaign. Keep an eye out for a few other highly-rated newcomers like Jahan Dotson, Rasheed Walker, and Jayson Oweh to make their Penn State debuts. Appalachian State gave James Franklin’s team some issues in week one, but I have a hard time seeing this Kent State team make any noise with a now-stable Nittany Lion offensive and defensive line. The Nittany Lions touched up Pitt for 51 points last week, coming only three touchdowns with missed extra points away from the nicest point total possible. After a quick Google search, Lane Kiffin’s FAU is the only team in recent memory to drop 69 points in a game with a 69-31 thrashing of North Texas last season. Hopefully, Trace McSorley can get Heisman voters’ attention this Saturday with a very nice performance of his own — in the first half at least. Who knows? By the time the fourth quarter rolls around, James Franklin might pull me out of the student section to get some reps under behind center. The real question here is does he ice the kicker to preserve a shutout up 69-0? Yes, yes he does. Penn State’s offense is firing on all cylinders after a decisive victory over Pitt, so I expect Ricky Rahne’s unit to drop another fifty-burger Saturday afternoon. The real story of the game should be how well players lower down on the depth chart perform in garbage time late in the game. If players like Ricky Slade, Mac Hippenhammer, and Pat Freiermuth can put in impressive performances, they could push for more minutes and bigger roles on offense. 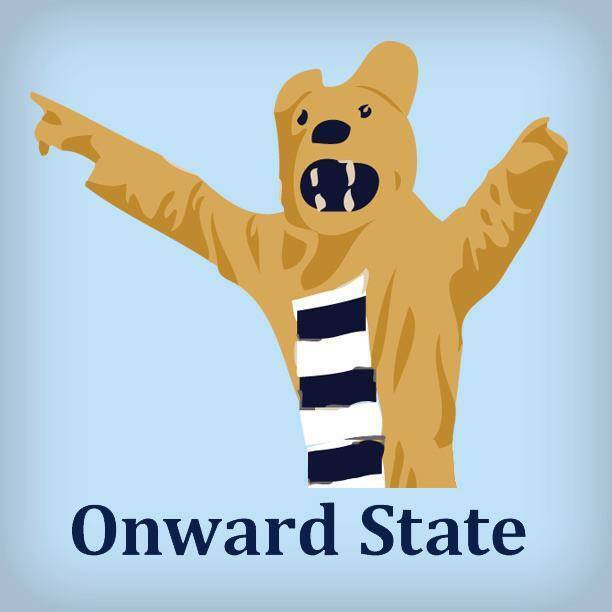 I expect more of the same from the Nittany Lions this weekend after thrashing Pitt in week two. Coach Franklin should get his squad out to an early lead and get some inexperienced players a lot of valuable game experience. Miles Sanders will rush for 100+ yards again, and Trace McSorley will throw for more than 200 yards. And who knows, maybe Sean Clifford will show some more of that magic we saw at Heinz Field. Kent State even lost to Illinois last weekend, which shows that this won’t be another repeat of Appalachian State. Just get out of non-conference play and keep everyone healthy. Before thrashing Howard last week, the Golden Flashes kept up with Illinois in a tight loss. In reality, that’s probably not saying much considering the Illini went winless in Big Ten play last season. Trace McSorley’s first Penn State start came the last time the Nittany Lions took on Kent State. He posted a two-touchdown, 209-yard passing performance, and the rest is history. The best part of this game might be the nostalgia comparing the uncertainty fans had in the stands for the young quarterback back in that 2016 season opener to the borderline Heisman contender we believe we’re watching on Saturday. Kent State is pretty not good. In fact, over the past few decades, the Golden Flashes have been among the very worst teams in the FBS and have gone bowling just twice. A new coaching staff will help out in some MACtion, but Kent State is really no match for Penn State. Expect Franklin to get the running game going early against a conservative defense. Nick Saban’s alma mater doesn’t stand a chance. The last two weeks I’ve predicted Penn State’s matchups with App State and Pitt would be just a little too close for comfort. This week, however, I’m not too worried about that. I’m betting Juwan Johnson will be back in top form against the Golden Flashes, and combined with KJ Hamler should give Trace McSorley some great opportunity to throw deep. We should also see plenty of production in the run game, giving us a better look at what Miles Sanders is capable of and how his backups in Mark Allen and Ricky Slade are progressing. Though not a nail-biter, this game should be fun to watch as these Nittany Lions do Nittany Lion things.